This article was written by SVG Europe. Read the original here. 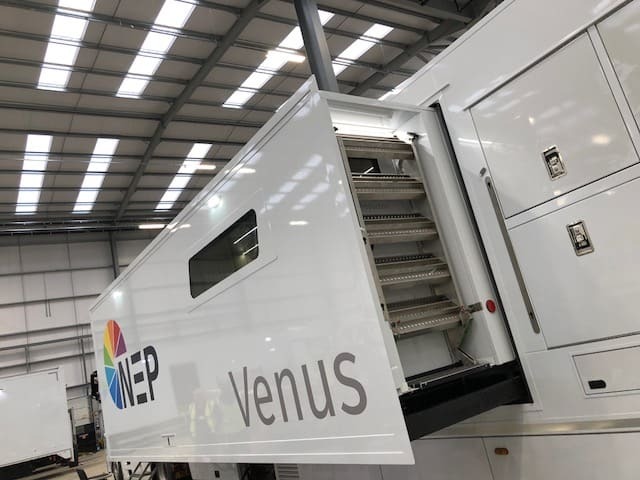 Venus and Ceres, NEP UK’s latest outside broadcast vehicles and its first to be SMPTE ST 2110-compliant, are claimed to form the core of what will be the world’s biggest IP-based broadcast system for an upcoming sports event. The vehicles will be used at major events, sports fixtures and other large scale productions, and their abilities can be expanded considerably by the addition of a huge, modular flypack. “Basically, everything is available everywhere when we connect them together. We trunk it together with a bunch of fibres,” which is how it will be used for “a major sporting event in the summer” (June/July) “where we end up with a total of about 21 galleries hanging off of the one IP core, which makes it the biggest IP system ever made,” claims Rob Newton, engineering and technical director, NEP UK. The galleries will be within about 300m of each other, but “we could, of course, extend it to be further than that. While the bragging rights as to who exactly has the first SMPTE 2110 OB have to be shared – as Newton acknowledges, the upgraded versions of Timeline’s UHD trucks are also now ST 2110 compliant – and as to whether Venus and Ceres are the very first OB vehicles to be built fully ST 2110 compliant from the start, that might have to be shared with NEP in the US, which has built its new EN3 for ESPN around a SMPTE ST 2110 IP routing core, although much of EN3’s equipment is different from Venus and Ceres and there was no co-ordination between the two arms of NEP. Unlike some UHD IP-based trucks, which use TICO compression, NEP UK’s new systems are totally uncompressed. The two vehicles replace its old HD1 and HD4 trucks, which were used for general purpose work, and allowed them to introduce “our first future-resistant IP capable trucks”. Central to this are Arista’s 7504 virtualized network datacentre IP switches. These have “three line cards, so it’s basically designed in such a way that we can connect it to other external switches,” he explained. “Mainly in our flypack or between the trucks, which enables us to go up to effectively something like 8,000 squared,” in the single virtual truck. ‍Grass Valley, Axon and EVS are among the key suppliers for the the latest NEP UK vehicles. The ST 2110 system infrastructure is identical in both vehicles. Each system is built around Grass Valley (formerly SAM) IQ UCP 25GbE Gateway cards, which provide two-way links between the new IP-based equipment and any existing baseband technology using SDI feeds. “The reason we picked that particular gateway card is, unlike the ones that our competitors have used, which is the IQ Mix cards, ours are repurposable. We can use them as a gateway card now, but when more and more IP kit comes on line, we can repurpose them into multiviewers or NATs [Network Address Translators] or any other use they can load the software for,” explains Newton. It has bought 350 of the gateway cards, all with 16 ports. All of its 34 multiviewers (each with 48 inputs) and eight vision mixer frames are IP-fed as well. The cards are 25Gbps, and with UHD and HDR in mind, this means that smaller switches are required, “even though they are massive switches, they would need to be even bigger if we did everything in 10gig.” They can get up to ten 3G signals from a 25Gbps port, or two uncompressed UHD signals. “We didn’t want to go down the compressed route because, why? If we don’t have to there’s no point,” he adds. The trucks can also simultaneously offer dual level UHD and HDI-SDI, or SDR UHD and HDR UHD. The two trucks have slightly different layouts (one has a larger production area and one has a separate edit area) for different applications. Both can be fitted with temporary walls to further customise them for specific customers. The Kahuna is preferred by most European customers, while US-based productions typically ask for the Kayenne. Other equipment installed includes Calrec sound desks, Phabrix HDR and IP-enabled test and measurement, Telex talkback, and Axon Cerebrum control systems. All the new equipment requires greater cooling; the truck has to provide increased air conditioning and, indeed, all equipment can be cooled separately in the various operational areas. Another major differentiator for these systems is the significant reduction in cabling, as it requires far less fibre optic cable compared to all the coaxial cable previously required. This is quicker to integrate and much lighter. Part of the reason for using the flypacks is to distribute feeds to multiple broadcasters, with remote boxes spread over a wide area. “Where, in the past, this would have involved a whole lot of cable, we are just running a few fibres,” he says. Each truck is wired for 28 cameras (taken from NEP UK’s existing Sony stock), but with the flypack system it has bespoke bays that have enough interface cards to take 14 base stations, and can just add a couple of these bays if needed to double its camera inputs. It has one large flypack, which will break down into four systems (there are four control systems, vision mixer frames, etc). Everything is modular, and it has built (and is still building) a large number of bays, for example some with five EVS systems. “You just take whatever bays you need, connect them together, and it should work.” As they aren’t all finished yet, he hasn’t seen them all working together, but he is sure they will work well, connecting together using MTP multi-mode cable or MTP breakouts, depending on how many connections they require. The system could easily be double the size it is as the frames are only half full, which would support 30 galleries or more, and 100 cameras, without any issue – although, he says, “I can’t imagine anyone using that much in one place.” It does, however, make it very easy to scale from HD to UHD. Venus completed its first job on a week-long event in April without any issues, and Newton has seen no problems at all with the system. Although the trucks can output IP for contribution, its usage so far has required it to revert to baseband when it leaves the truck, and he thinks it will take some time before customers will want to have IP leaving the truck. “We will provide whatever is wanted,” he notes. 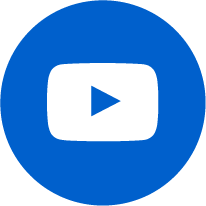 The ST 2110 standards suite specifies the carriage, synchronisation and description of streams over IP for real-time production, playout, and other professional media applications, and has largely been ratified, with just a few features to complete. “We’ve managed to implement it quite simply, without any issues. There are some holes in it still, like Dolby, as in the metadata type, but that will be sorted. It is not completely ratified yet and that will help. They are minor issues and as soon as they are all officially ratified it will all work. It has been a lot easier than I thought it would be,” he says. However, it helps greatly that most of its equipment has been from one manufacturer. 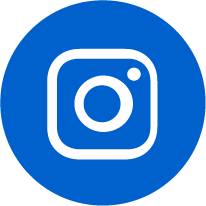 This article was originally published by SVG Europe on 10 May 2018.